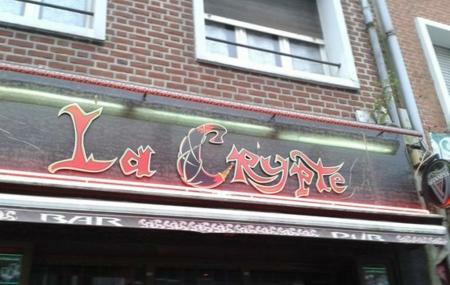 One of the liveliest bars in Calais, The Crypt, is the best Gothic Rock Bar in the town. The atmosphere is friendly and fun filled, with good music and good drinks at reasonable price. Moreover, regular customers can get updates on their emails of the recent additions to menu or any new events set to happen in the bar including discounts. Located right in the middle of Rue Royale, the sun spot of Calais, the Bar is a must visit to experience the town’s nightlife. Bachelor Parties and other events can be organized through appointments. How popular is La Crypte? People normally club together Parc Richelieu and Musee Des Beaux Arts De Calais while planning their visit to La Crypte. Stumbled across this place while stopped over in Calais. Fantastic. The locals are were so welcoming. Great beer, great atmosphere, great night. If you're looking for something a bit alternative, you won't be disappointed.